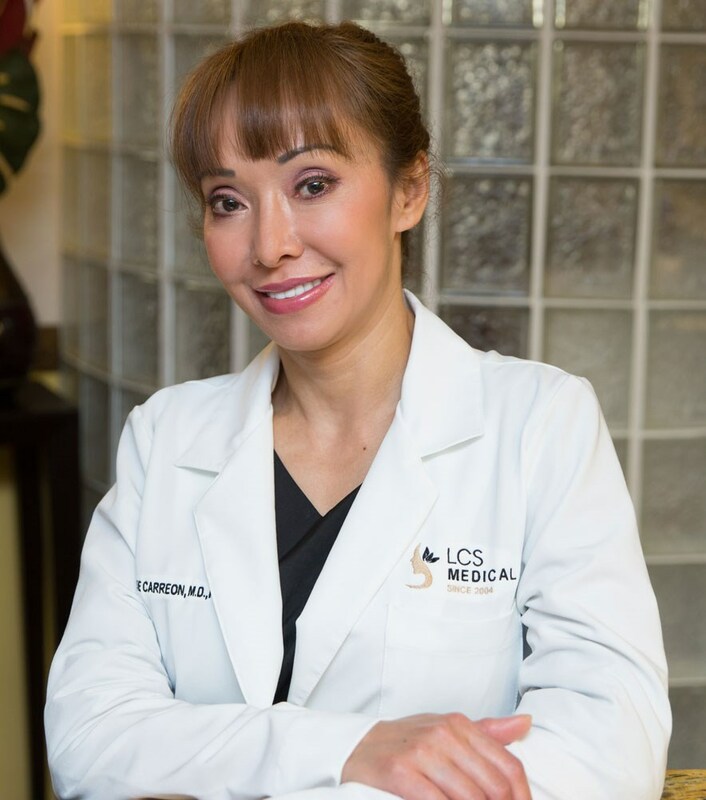 Laser Cosmetic Solutions Medical Spa is owned and operated by our full-time and on-site medical director, Dr. Melanie Carreon. She is a board-certified medical professional and now dedicated solely in the aesthetic field. She has been performing liposuction for over 13 years and nonsurgical cosmetic treatments for over 14 years. During this time, she has conducted over 3,000 liposuction surgeries. Her medical expertise has earned her prestigious distinction including the Patients’ Choice Award and Compassionate Doctor Recognition by Vitals. She is passionate about helping men and women regain their self-confidence and acquire a newfound love for their body. LCS Medical Spa is the only AAAHC Accredited MedSpa in Seguin, TX that offers surgical and nonsurgical cosmetic procedures for the face, body, and skin. Our practice focuses primarily in liposuction, smartlipo, laser treatments, microneedling with PRP therapy, BOTOX, and more. We boast a state-of-the-art facility that is accredited by the Accreditation Association for Ambulatory Health Care (AAAHC). This credential sets our MedSpa apart as it means we have met rigorous and nationally ranked standards of safety and quality. We believe you deserve the best and we continuously work to provide an exceptional cosmetic experience, using many and "only" FDA cleared laser equipment for safety and efficacy. When I came to Dr. Carreon’s office I didn’t know what to expect. I had driven an hour and a half from my home just to find a “female doctor” who would understand my desire body shape. Mary put me at ease right away and Dr. Carreon fit me into her schedule right away. I’m delighted with my new waistline. It makes me feel young again, at 41. I’ve gone here for a couple of procedures but my latest one was the tattoo removal. The staff are just awesome and Dr. Carreon is straight forward about anything that you ask. Love that. This is where Ill Continue to come for any of the services she offers. I had a hydrafacial today. The treatment was superb and April was FANTASTIC!!! All the staff are great, but I had a nice conversation with April & she was super nice. Looking towards next months session. Emsculpt Amazing Results! - Dr Melanie Carreon has great bedside manner and trustworthy, thanks doc! View stunning before-and-after photos of patients just like you. Read through inspiring stories and patient testimonials to learn more. Explore our monthly specials and latest MedSpa packages. Meet our dedicated team of aestheticians and learn more about our facility.